Throughout the major cities, an air of prosperity arises among the skyscrapers. The smell of opportunity and awaiting capital fills the sky with hope. There are a plethora of routes a wealthy investor could take: investing directly in a fund management which holds physical property in a portfolio, by investment shares in a company specializing in the selling and or developing of property, or perhaps you’d rather cut out any middleman and buy real estate yourself. Real estate in the major cities is a lucrative long-term yield option if you play your cards right. A display of nuance would be for you to evaluate the outer city housing market. Visit open houses, and speak directly with the homeowners. Families want to live in an area where there are good schools for their children, access to reliable public transport, where doctors and emergency care is at arm’s length. On top of this, shopping stores and restaurants cater for parents as well. Modern homes are always a sound investment, as builders use state of the art construction techniques and high-quality materials with the longevity of the structural integrity in mind. Set up a meeting with the local real estate agents in newly built areas to inquire information from them; with regards to who is buying these homes. The solid option would be to invest in homes which have 1 or both parents who work in the city, earning a high salary. This technique is called farming the neighborhood. To guide you through your decision-making process, you’ll need to keep in mind the three pillars of scrutiny in this field. Cash on cash determines the first-year performance between competing properties. Investors looking to utilize the cash on cash method must devise a scheme to either purchase the property outright or initially invest without committing to buying. Net operating income (NOI) of a commercial real estate property calculates the first year gross income of the business operating within it and subtracting the expenses for the operation. The aim is to have a positive NOI. However, critically for investors who wish to acquire protection from a negative NOI, they must delve into matters pertaining to insurance quotes for commercial property. The final pillar is cap rate, or the capitalization used to verify the value of income produced by the property. A positive cap rate value projects the earning generated by a business or investment to exceed the anticipated outgoing expenditures. 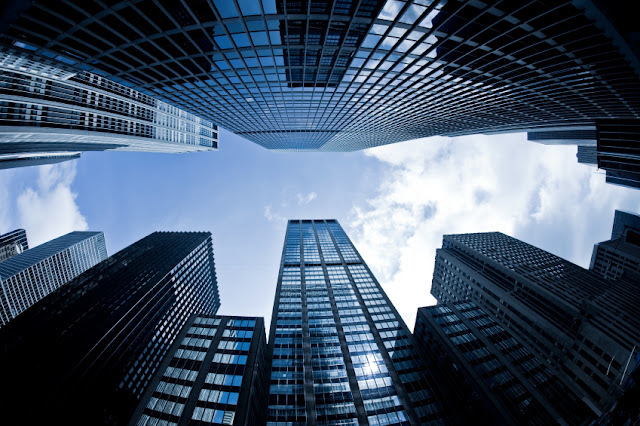 To get the most out of your high-rise commercial real estate, you need to pick the right business to inhabit your investment. Playing it safe with well-situated large corporations is a smooth path, however, generally speaking, large companies possess enough capital by themselves already. That leaves leasing to an entrepreneur or small to medium size business. Although not without risk, some young and small companies are looking to expand due to their meteoric success, and are more than likely open to discussing rates. But pick wisely, do the proper research, as for relevant information that would help you decide who to take in or not. Don’t forget that the business which uses your commercial real estate as their office, is an investment in an investment; both are crucial to your profit margin.